Refreshing green tea recipes, on ice! On a scorching summer’s day, sipping on a hot cup of freshly brewed green tea isn’t that appealing, right? But who says green tea need only be had hot? Green tea is even more refreshing and nourishing, with all its numerous health benefits intact, when iced and mixed with some fruits, roots and honey! 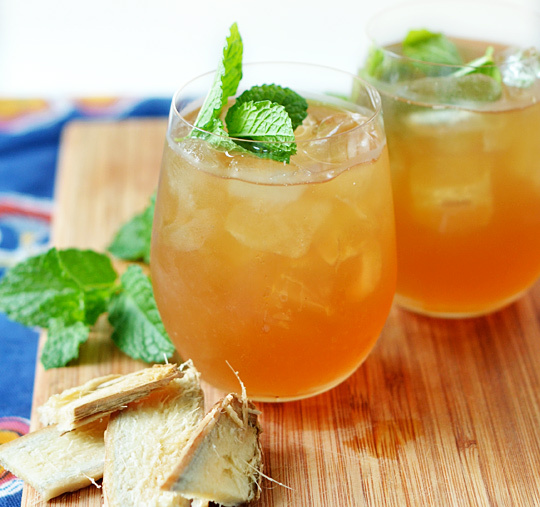 Here are four exciting green tea recipes, on ice! Take your pick – Watermelon Green Iced Tea or a Green Tea and Ginger one or a frosty Green Tea Cinnamon Smoothie or the Mango Green Iced Tea. Whether you want to make it for yourself or for a summer party or just for your family, these iced green teas and smoothies are very delicious to drink and will make for some great summer memories with your loved ones! Blend the watermelon cubes in a blender until pureed. Use a strainer to remove the pulp completely and keep the puree smooth. In a sauce pan, boil the water and add the green tea bags and allow to steep for 5 minutes, and then remove the bags. Allow the tea to cool at room temperature before adding the watermelon puree, lime juice and sugar. You can also use raw honey instead of sugar, if you are counting calories. This is an all day, any time refresher which is easy to make with ingredients that are readily available in every household. It takes about five minutes to make, but the effects of the antioxidants in the green tea are everlasting. Drink up for a healthier you! Add the water and ginger to a large saucepan and bring to a boil over high heat. Remove from the heat and add the tea bags. Allow the bags to steep for 15 minutes. Carefully remove and strain the tea bags and ginger. Pour the tea into a pitcher, add the honey, lemon juice and stir. Serve over iced cubes with lemon wedges and mint sprigs as garnish. Making a smoothie is an easy way to whip up something nutritious when you don’t have a lot of time. This low-calorie cinnamon, honey and green tea smoothie makes for a chilled caffeine break when the temperature rises. Not only will the caffeine in the green tea give you much-needed energy, but cinnamon and green tea have both been shown to have metabolism-boosting properties. In addition, research has shown that honey may help regulate blood sugar levels, meaning you won’t feel sluggish after this afternoon snack. 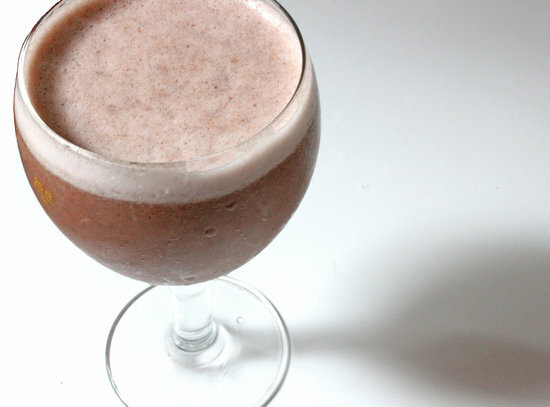 The next time you’re feeling like you could use a frosty beverage, forget the Frappuccino and make this 139-calorie smoothie instead. For this recipe, use two or more green tea bags to brew a cup or two of tea, depending on how strong you’d like it, then keep the tea chilled in your fridge until ready to use. You can also add greens of your choice, like kale or spinach, to add a few more nutrients to this smoothie without altering the taste. Add one to two scoops of crushed ice to a blender, along with all ingredients. It isn’t summer if they are no mangoes! And a fresh mango and green tea on ice is just the drink to keep us happy and cool all summer long! Bring home those delicious Dusseris, Langdas, Chausas and Alphonsos and blend them into a tall glass of happiness! Puree mango in a blender with 1/4 cup of sugar and set aside. Pour water into a pot and bring to a boil. When water begins to boil, add tea bags, cover pot with lid and turn off heat. Allow the tea bags to steep for about 10 minutes. Remove bags from the pot and pour in mango puree. Add remaining sugar and mix well. Pour mixture over ice, garnish with mint and serve chilled. Categories: Eat Green, Eco Living, Healthy Recipes, Live Green, Natural Mantra, Organic Living, Sustainable Living | Tags: banana, Cinnamon, Ginger, green tea, honey, Iced Green Tea Recipes, Mangoes, Smoothies, Summer, Watermelons | Permalink. Boost your health with the wonder fruit, Acai Berry! Summer 2014 is upon us and we are already feeling the heat! More than the heat, our energy levels seem to dipping when we are outdoors and that’s never good. Who wants to feel sluggish on a working day or a trip to the mall? No one! So instead of reaching out for sugary and calorific sodas and canned energy drinks, why not discover the super fruit, the Acai Berry? It made it to Oprah Winfrey’s Top 10 Super Foods list on her talk show and Brad Pitt is known to like the super berry too. So what is this miracle berry all about? It looks just like other berries, but it is a power packed energy and health booster. The acai tree is a type of palm tree that is native to the Amazon rainforest region in Brazil. 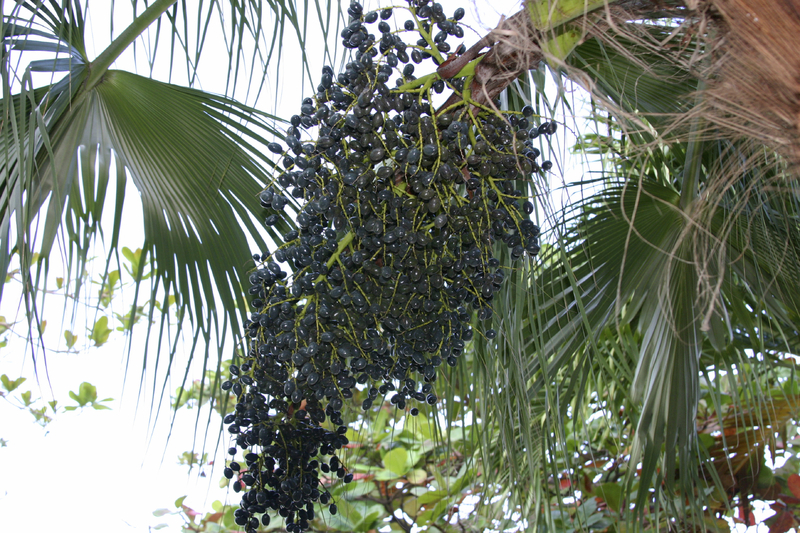 It grows over 15 meters in height and produces small, dark purple berries. Brazilian natives discovered the healing properties of the acai berry thousands of years ago, especially its energy boosting powers when consumed regularly. Brazilians have nicknamed this super fruit the Beauty Berry because it has so many compounds that make the body feel and look better from the inside out. Its combination of antioxidants, amino acids and omega fatty acids also aid in slowing down the aging process by boosting immune and metabolic function and removing destructive free radicals from our bodies. Among the berries’ many antioxidants is one particular one called anthocyanin, which is supposed to be the driving force behind acai’s free-radical and age-fighting powers. It’s common in fruits with rich red and purple colors, like grapes and other berries, but acai has far more than any other food. Experts believe that the acai’s ORAC level (Oxygen Radical Absorbance Capacity) is over 3,500 which is hundreds of times higher than your average fruits like apples and bananas. The little acai berry packs more grams of protein than an egg, which should make vegetarians very happy. When combined with its host of omega 3, 6 and 9 fatty acids, acai has been shown to improve the look and texture of your hair, skin and nails. It is also known to aid weight loss as its consumption revs up metabolism and improves digestive health. Today, the most common form of acai is the juice, which the Amazon inhabitants make by softening and crushing the ripe berry, skin and all. If you travel to Brazil, you can enjoy a bowl of frozen acai, blended and topped with pieces of banana and granola. Acai is also sold by vendors on the beaches and served like ice cream. 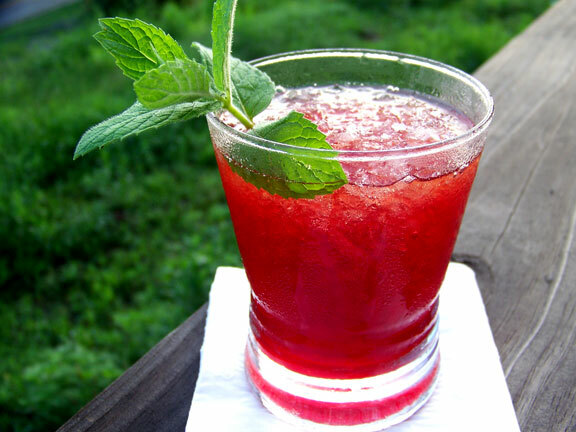 But now, we at Natural Mantra, have brought this berry right to your doorstep. If you want to incorporate acai into your daily diet, all you need to do is shop on Natural Mantra and get back your energy levels and improve your overall health! 1. BOOSTS ENERGY LEVELS: Due its overall health benefits, consuming acai berries can lead to an increased overall level of energy and stamina, and combats fatigue and exhaustion. Whenever you need a boost, simply eat a handful of berries and you will be ready to go in no time! 2. LOWERS CHOLESTROL: Acai Berries are rich in an antioxidant known as anthocyanins. Antioxidants combat and neutralize destructive free radicals. They are also rich in plant sterols that provide cardio-protective benefits to our cells. It does this by preventing blood clots, improving overall blood circulation, and relaxing the blood vessels. 3. HEALTHIER HAIR AND SKIN: Regular consumption of the berries promotes healthier hair and skin. They contain high levels of zinc which helps in the proper functioning of the enzymes which are required by the body to repair skin wounds and reduce stubborn acne outbreaks, lessen stretch marks, improve dandruff and even eradicate white spots on fingernails. The vitamin A content helps skin to retain its natural moisture which maintains glowing and healthy skin without dry patches, psoriasis and even wrinkling. 4. COMBATS PRE-MATURE AGING: The berries minimize free radicals, combat pre-mature aging and give a boost to the immune system. This is because it’s a great source of vitamins and minerals like selenium and vitamin A and anthocyanins, that all help to fight off disease and rid the body of harmful toxins. Specifically high levels of vitamin A and selenium have been shown to increase white blood cells in the body which are responsible for attacking ‘foreign’ invaders, whilst its anti-oxidant properties help to prevent harmful free radicals from damaging the body by causing premature aging or in the worst case scenario cancer. It also improves metabolism, making you shed the extra pounds naturally. 5. 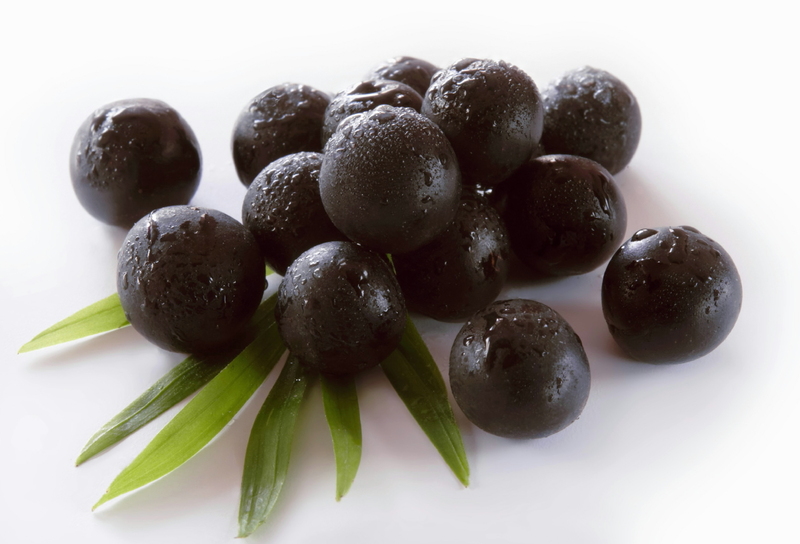 FIBER AND OMEGA FATTY ACIDS: Acai Berry is an excellent source of fiber. Fiber promotes a healthy digestive system. Research studies suggest soluble fibers helps in lowering blood cholesterol. These berries contain multiple Omega Fatty Acids – Omega 9, Omega 6, and Omega 3. These mono-saturated essential fatty acids help lower LDL (harmful cholesterol) while maintaining HDL (beneficial cholesterol). This unique ratio resembles the same combination as olive oil. Studies suggest this is a contributing factor to the low rate of heart disease in Mediterranean regions. Buy it! Try it! Feel the change! Categories: Eat Green, Eco Living, Live Green, Natural Mantra, Organic Living, Sustainable Living | Tags: 100% Vegetarian, Acai Berry, Brad Pitt, Brazil, Cholestrol, energy, healthy hair, Healthy Skin, Natural Mantra blog, Oprah Winfrey, Summer 2014, Super fruit, weight-loss | Permalink. Cut watermelon into pieces and put them in a blender. Add some sugar; or if you want to go the healthy way, refrain from it. Blend this without water, or with less amount, as the fruit already contains a good amount of water. You won’t need to blend the pieces for long. Once done, pour into a glass and add required amount of soda. Garnish it with mint leaves. Don’t like eating muskmelon? Try the juice! You’ll love it! Cut muskmelon pieces and put them in a blender. Sugar is your choice. Add some water, enough to keep it thick and not watery. Blend this together and voila! You’re drink is ready! You must’ve heard the quote, “When life gives you lemon, make lemonade out of it!” While we completely agree with this, let’s give a twist to the recipe! Squeeze the juice of two lemons. Add required amount of sugar and salt. Add some mint leaves. Put this mixture into a blender, along with a little amount of water. Blend this together. Pour this mixture in a glass and add soda to it. Garnish with mint leaves and a slice of lemon! Put mango pieces and sugar (if you’re adding sugar) in a blender and blend it well. Now add buttermilk, little at a time, and keep blending it with the mango mixture. Don’t make it too watery and keep it thick. 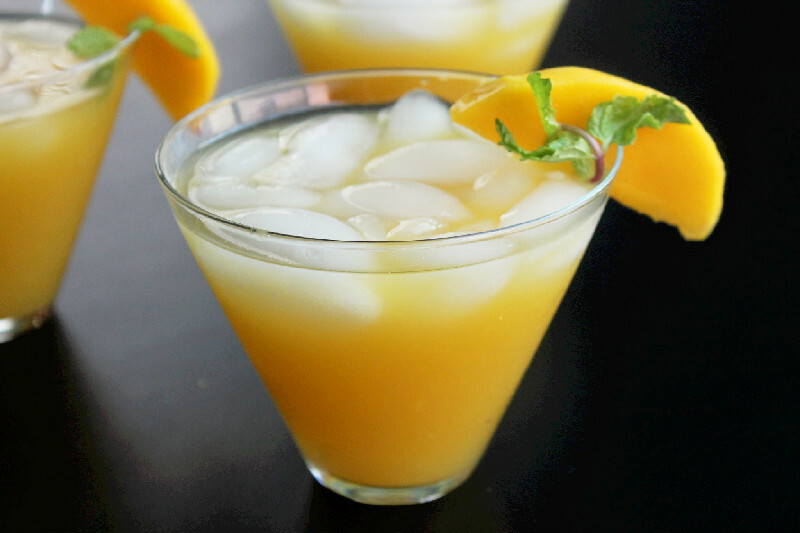 Once done, pour into a glass and garnish it with a slice of mango. Peel the lychees and put them in a blender along with sugar (if you’re taking it) and water. Blend it nicely. Once done, pour this juice into a glass and add required amount of soda. Garnish it with mint leaves! We hope you try these at home and find them as reviving as the fruits. Let us know! Stay hydrated, stay happy! Categories: Eat Green, Healthy Recipes, Live Green, Organic Living | Tags: Healthy Coolers, Hydrate, Summer, Summer coolers | Permalink. Everyone is getting ready to brace the summer and so are we! India being a tropical country, we are not spared with any better summers here, right? As much as we are scared to welcome this weather, it is a good season to detox yourself by staying faithful towards all the fruits and vegetables. One has to be very careful about what is being consumed as it might affect the body adversely. Let us find out what issues are common during summer and how we can tackle them. The first and foremost issue you need to be ready and equipped for is a sunstroke. Never underestimate the power of the sun and take risks with it. A sunstroke is responsible for problems like dehydration, low blood pressure and the likes, when out in the sun. As a rule, apply sunscreen 20-30 minutes prior to stepping out. Wear cotton clothes and cover yourself completely. The most common precautions taken for the heat are drinking aam panna(a raw mango based drink) and consuming raw onions along with food. Acne is the most common problem which pops up during summers. The heat and the dust play hide and seek with your skin. Make sure the skin products you use are not oil-based. You can also apply rosewater to feel fresh! Opt for gel-based products, for example, moisturisers that contain aloe vera. The heat tires our body of water, as we know, which results in dry skin. Keep yourself hydrated. We know it’s the most clichéd fact but it is true! Use gel based products during summer to keep your skin breathing. Cotton clothes will help you stay away from any kind of skin allergies and rashes. Summer plays its tricks as it makes our hair feel dry sometimes and greasy other times! Use a light natural shampoo so that you can wash your hair frequently or when you feel the need. Stay away from greasy products during summer as it will help you accumulate sweat, dust, etc. Wear sunglasses when you step out as sunrays might be responsible for damages to this delicate part of your body. At the end of the day, you can place cucumber slices or peels on your eyes to let all the tiredness be seeped in by them. Summer is the time when food deteriorates quickly. This essentially means that if you’re planning to eat out during summer, you might want to give it a thought first. If you do get affected by food poisoning, drink lots of water. Apart from that, add a little bit of sugar (about one tablespoon) to a glass of water and keep drinking it often. Sugar helps you retain fluids in the body. Stay away from caffeine! Summer is the best season to feel light. Take advantage of this season and have a fresh summer! Categories: Live Green, Natural Mantra, Organic Living, Sustainable Living | Permalink.